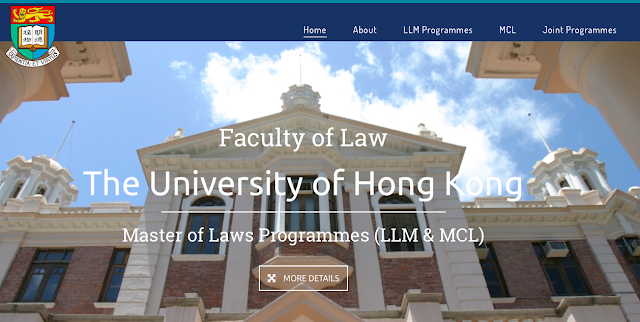 Our Faculty has launched a new LLM and MCL website. HKU has a wide offering in taught postgraduate law programmes. Seven LLM programmes offered in (i) arbitration and dispute resolution; (ii) Chinese law; (iii) corporate and financial law; (iv) human rights; (v) information technology and intellectual property law; (vi) compliance and regulation (NEW for 2016); and (vii) general stream. The one-year Master of Common Law was established in 1997. There are also joint programmes with Peking University and the University of Zurich. The application deadline for most of these programmes is the end of February. Click here to access the website.